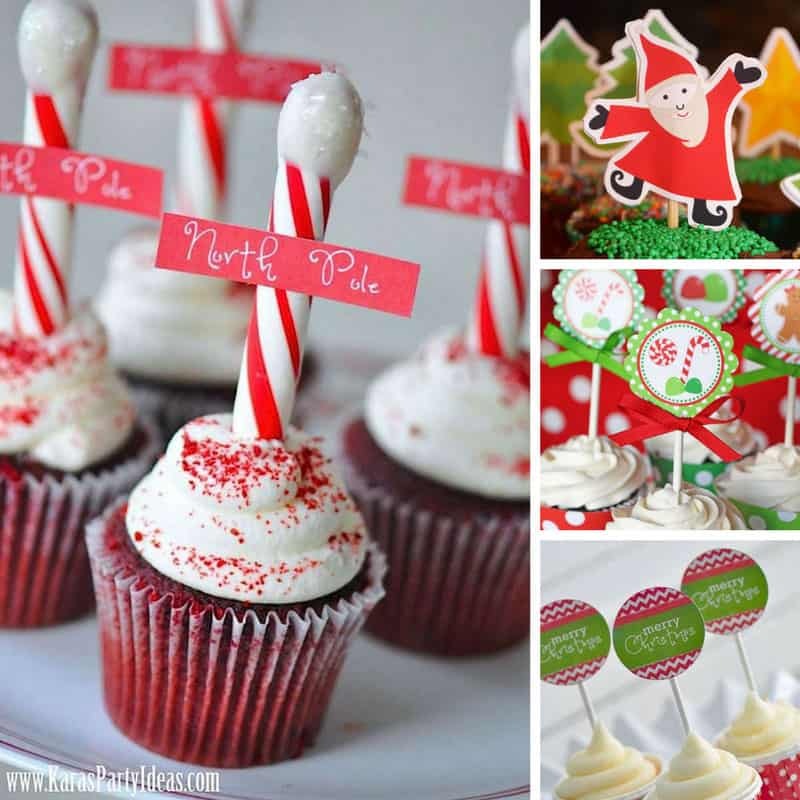 Home > Holidays > 2019 Christmas Food, Decor & Craft Ideas > 10 Christmas Cupcake Toppers to Make Your Cakes Look Fabulously Festive! Need festive cupcakes but no time to bake? Don’t panic! 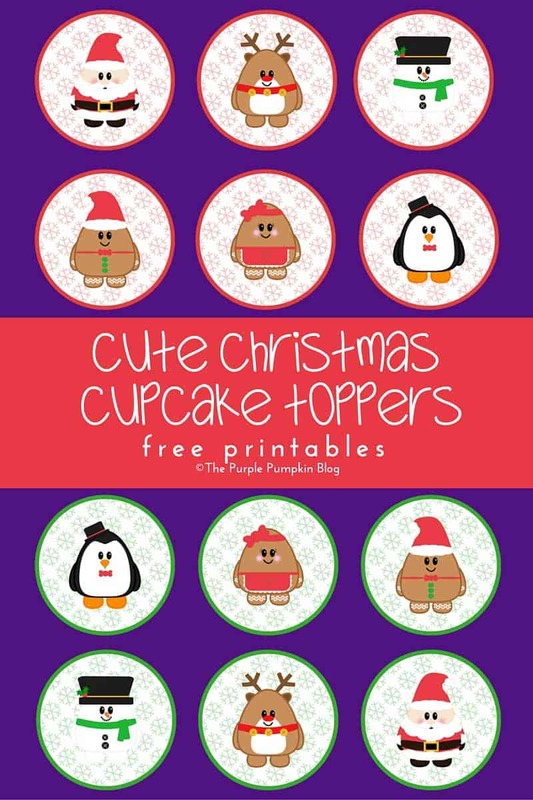 Just buy some cupcakes at the store and then add some of these free cupcake toppers to make them look totally festive! If you’re in a panic because you forgot you have to make a festive dessert don’t worry – just run to the store and buy some cupcakes and then then decorate them with some of these free Christmas cupcake toppers! They’ll look so fabulous no one will think to ask how you had time to bake! Cupcake Topper Tip: Pop your cupcake topper inside one of design your own button cases so your party guests can use it as a button or even pin it to the Christmas tree! 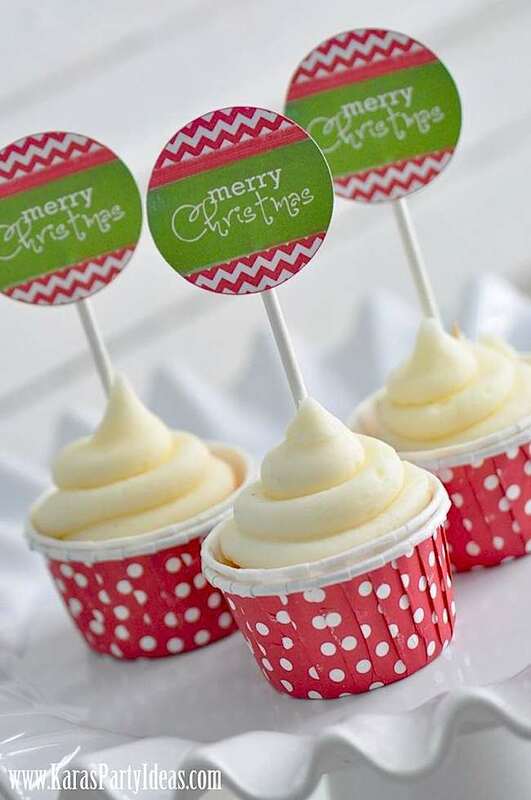 Scalloped Christmas Cupcake Toppers – These Christmas cupcake toppers are so STINKING CUTE! Rudolph is my absolute favourite! 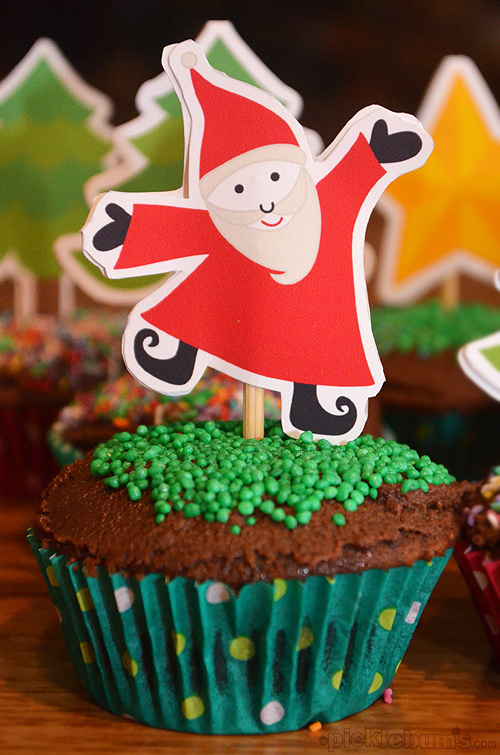 Dancing Santa Cupcake Topper – SUPER CUTE and so EASY to make! Just print, cut and stick him in your cupcake! 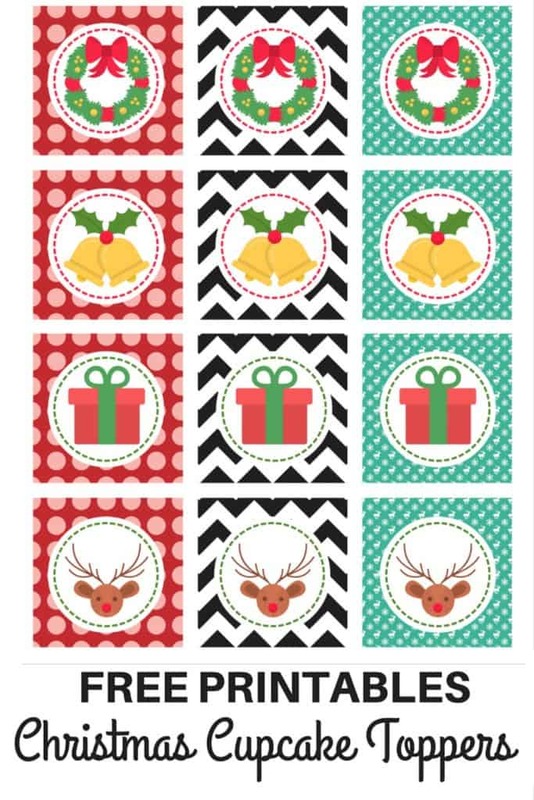 Christmas Cupcake Toppers or Gift Tags – LOVE the Christmas Bells and the fact that these cupcake toppers double up as matching gift tags! 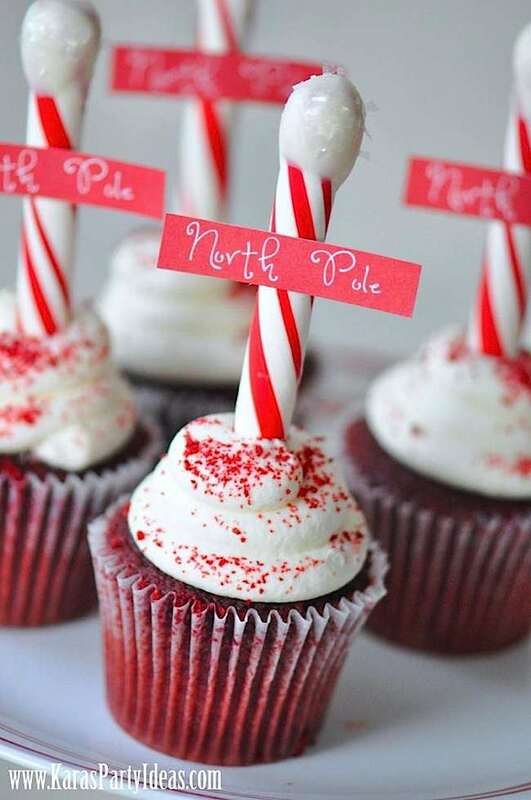 North Pole Cupcake Signs – Oh how ADORABLE are these cupcake signs! LOVE the idea of a candy cane stick instead of a toothpick! 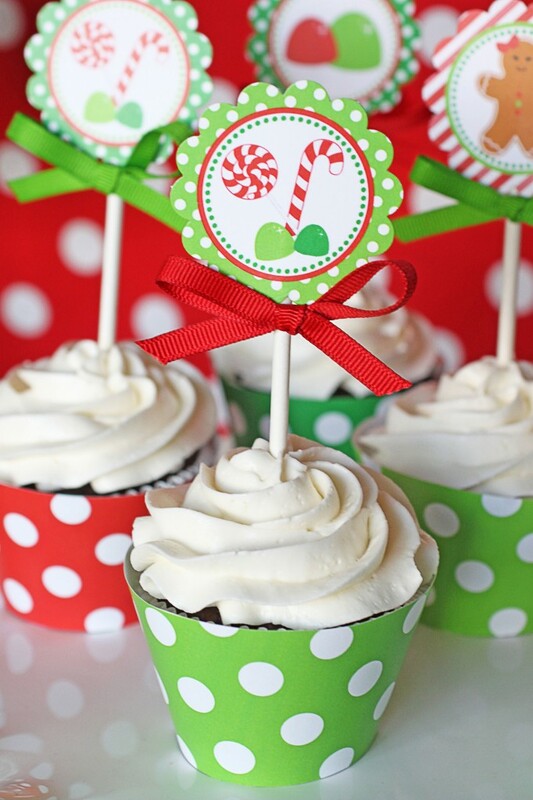 Merry Christmas Cupcakes – DARLING cupcake toppers to wish your guests a Merry Christmas! LOVING those spotted cupcake cups! Gingerbread Man Party Printables – These Christmas cupcake toppers are perfect for a gingerbread man themed Christmas party! Christmas Printable Toppers – This little bird in a Santa’s hat is the most ADORABLE cupcake topper! 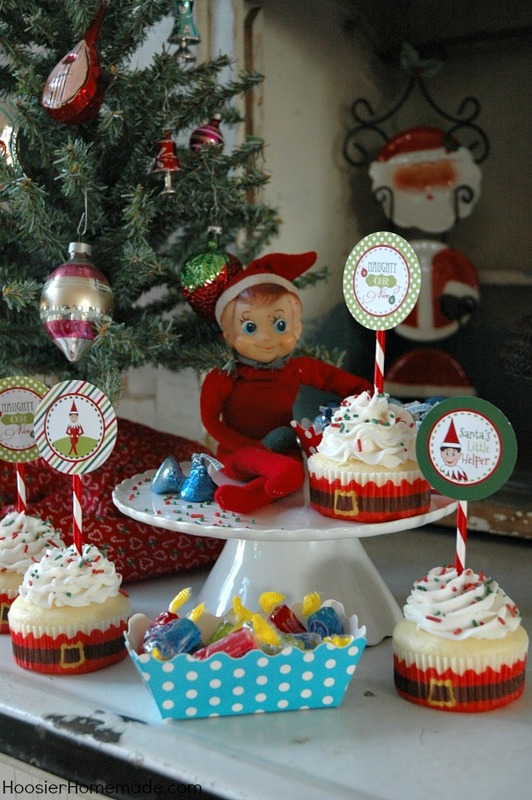 Elf on the Shelf Cupcake Toppers – GENIUS Elf on the Shelf idea! He could host a cupcake party complete with SUPER CUTE toppers featuring himself! 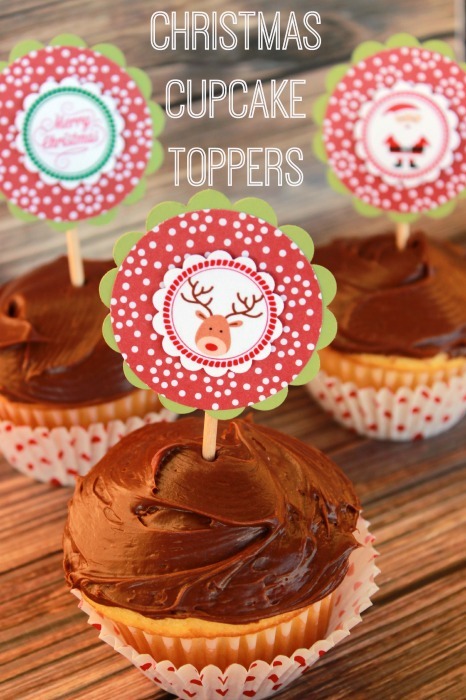 Cute Christmas Cupcake Toppers – How ADORABLE is that Rudolph? Oh and Mrs Gingerbread too! 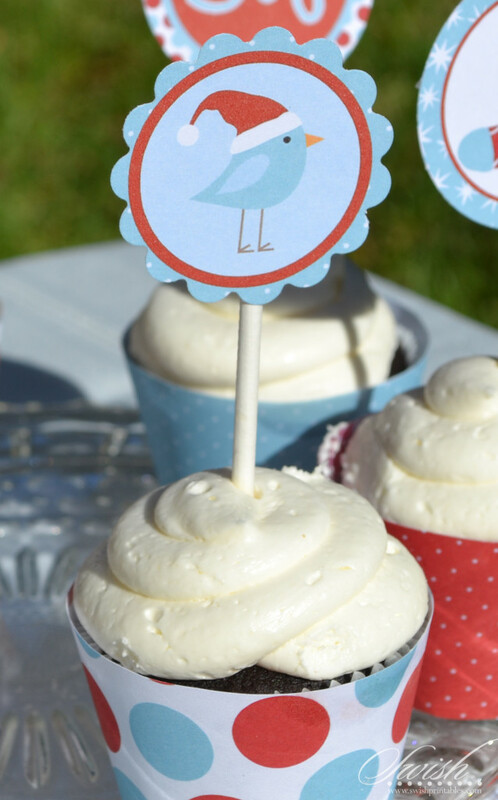 LOVING these cupcake toppers! 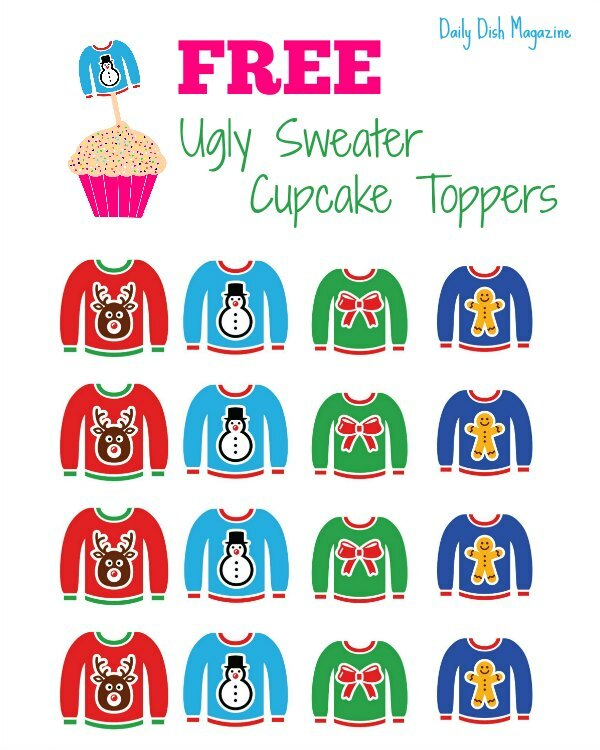 Ugly Christmas Sweater Cupcake Printables – If you’re planning an ugly Christmas sweater party then you NEED these cupcake toppers! Previous PostPrevious 16 Totally Unusual DIY Christmas Decor Ideas That Are Easier to Make Than They Look! Next PostNext 21 Spooky Dollar Store Halloween Decor Ideas You Need to See!